Ying Thai has been around for ages, owner Khun Ying tells me that they were the first Thai restaurant to open on Victoria Street back in 1996. 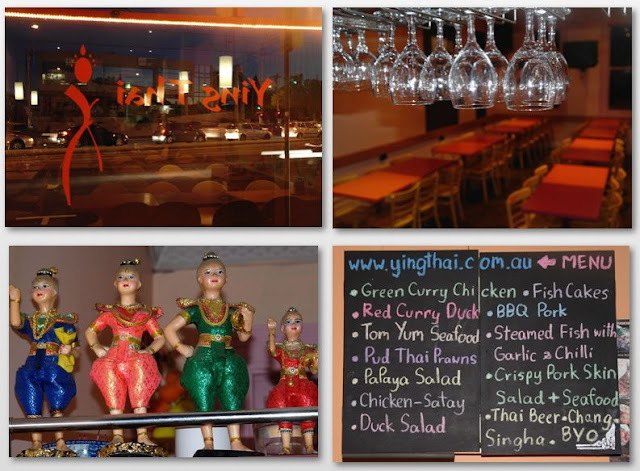 Sister restaurant Ying Thai 2 on Lygon Street is run by Ying's brother with their mother overseeing the preparation of all the curry pastes and traditional Thai sauces at both restaurants. A practice that guarantees the high standards are maintained but also no doubt helps ensure the recipes are kept secret from inquisitive kitchenhands and wait staff. Pandan wrapped chicken is a Ying Thai specialty, chicken thighs are marinated in around 15 different seasonings for up to a week to ensure that all the ingredients imbue the meat with a sublime flavour that is quintessentially Thai. 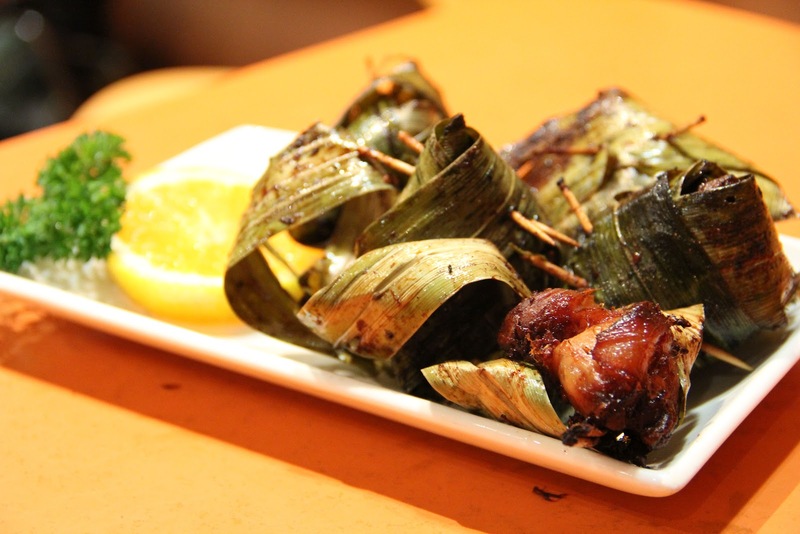 The bundles of pandan wrapped goodness are then grilled to achieve a gorgeous smoky charred exterior and flesh so tender that it falls apart with the gentle prod of a fork. This dish is often served at Thai weddings with the neatly wrapped chicken serving as a symbol of the union of marriage. The Yum Sam Krop is another favourite among regular Ying Thai diners. This traditional Thai salad is a textural delight with crunchy poppy fried pork crisps but the highlight is the sweet spicy sticky tamarind chilli sauce. Tender baby squid and prawns provide additional flavour while the shallots and coriander give balance to the sweetness of the sauce. 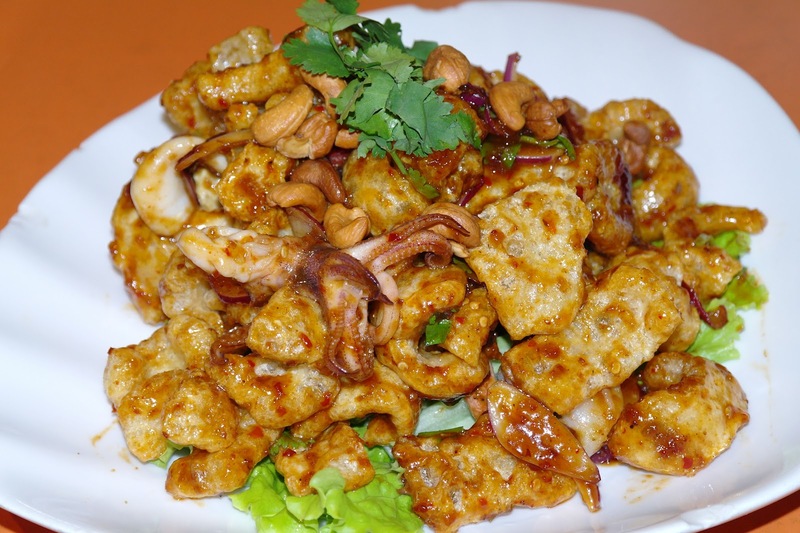 Larp is an Isan salad that seems to have no limit to its versatility, whether it be chicken, pork, duck and even squid it is always spicy and mostly always delicious. 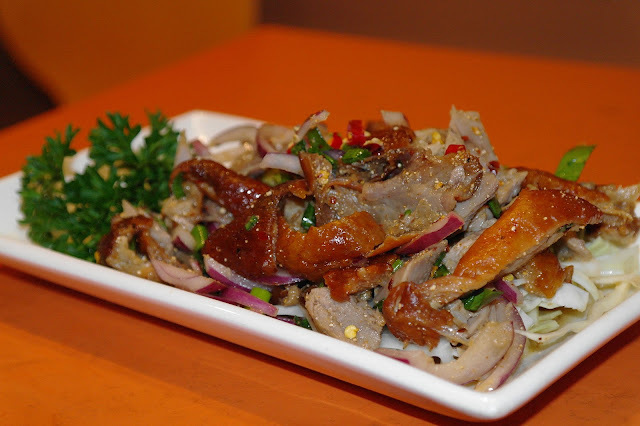 Typically in my experience the meat is usually minced however in Ying Thai's version of Larp Ped the duck is shredded into bite size pieces and lots of sinful roast duck skin is also added. Khun Ying explained to me that this is done because they reckon it tastes better and I certainly couldn't argue with that. The Isan dressings are always very spicy with lots of chilli for heat, fish sauce for saltiness, lime juice for sourness and sugar for sweetness. It sounds very simple but getting the balance right can be quite tricky. 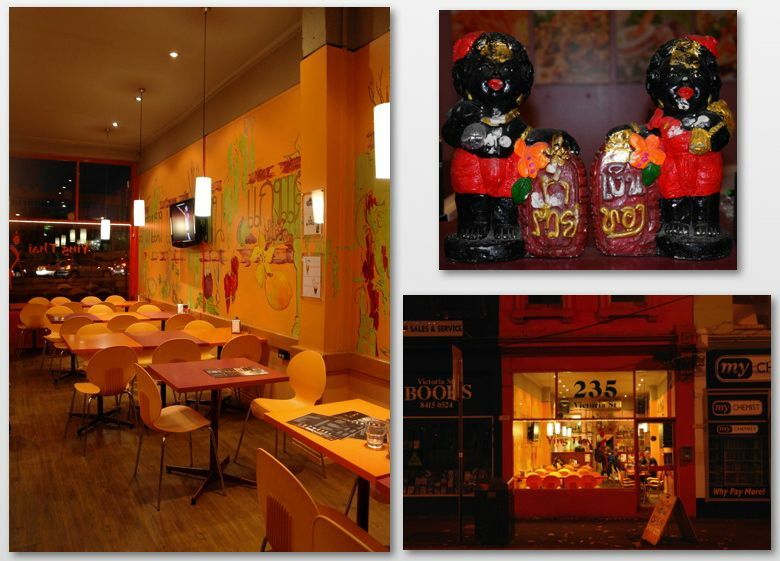 For anyone wanting to taste the balance when it's done well Ying Thai is as good a place as any. Another mandatory ingredient is aromatic roasted ground rice which adds flavour and a pleasant texture to the salad. Our final dish of the evening was a great example of what I would call an Aussie Thai curry. 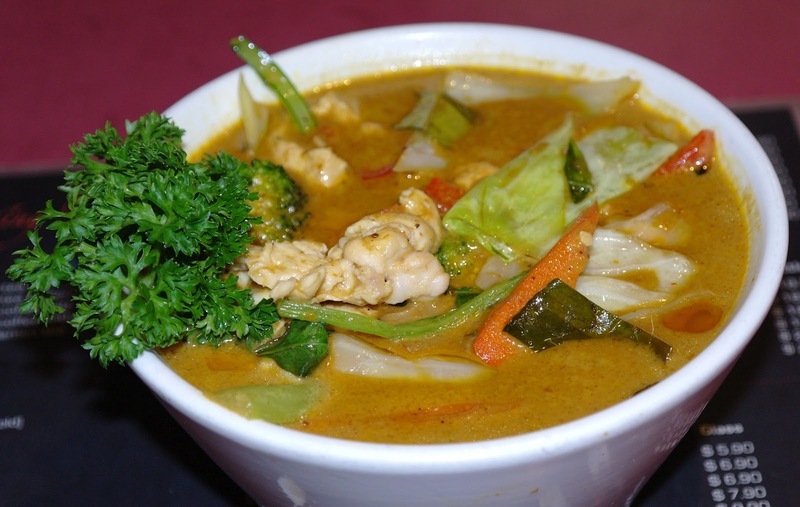 Green curry is probably the most popular curry among westerners who prefer it over red curry because it is less spicy. A lot of people don't know that when made in the traditional way it actually is one of the spiciest of all curries with the exception of the fiery jungle curry. Khun Ying explained to me that they used to serve it in a more traditional style but due to popular demand they toned down the heat and upped the sweetness. Another interesting point is that the use of lots of vegetables is also an appeasement to the western palate as traditionally minimal vegetables are used. Judging by the popularity of Ying Thai the masses have definitely been appeased. I certainly have no problem with these adjustments although I also enjoy the more traditional preparation. As mentioned above, all of the sauces and pastes used at Ying Thai are made in house. This might seem an obvious statement but I can remember going through the kitchen of a Thai restaurant I visited years ago to get to the bathroom and seeing stockpiles of Maesri and Pantainorasing curry pastes and sauces. Maybe it isn't a surprise that that particular restaurant has now closed. Ying Thai also have a great range of traditional Thai drinks that are all made in house using imported ingredients. 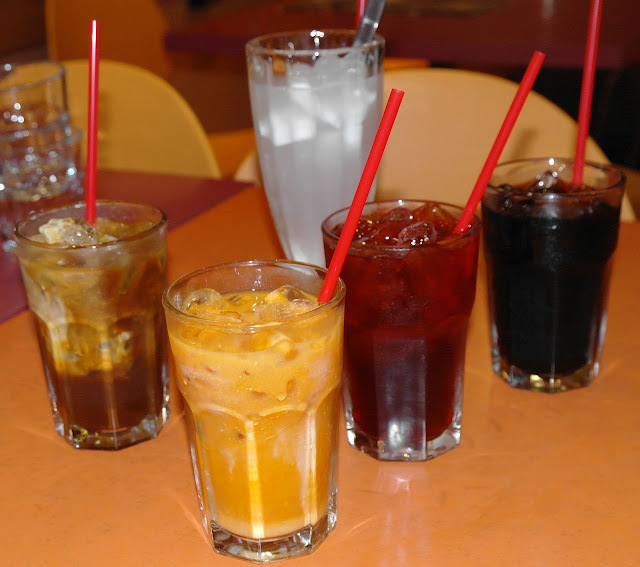 The orange one at the front is Thai Milk Tea (Cha Yen), next time you see this on the menu give it a go. We first tried it in Bangkok last year and it is now one of our firm favourites.